Bahar, a refugee from Syria, worked with MSF for three years in Iraq’s Domeez refugee camp, before making the hard decision to leave for Europe. Hidden in a coffin-like box, and surviving on dates, she was smuggled as far as the Danish border. Over the phone, her trembling voice tells a story of hidden pain and suffering. Five years ago, Bahar , a 36-year-old Syrian Kurd, was living in Damascus. Married with two children, she worked as an accountant for a private company. With a rewarding job, a loving family and a protective but open-minded husband, her future felt peaceful and secure. But in 2011, everything changed. After taking part in demonstrations against the government, Bahar’s husband was arrested. “He was tortured and killed,” says Bahar. “After his disappearance, my life became complicated." "I had to play the role of a father and a mother for my children – I had to make sure they were safe and had enough to eat. It was hard. I couldn’t go back to live with my mother, as she had already taken in my brother and his children." Now jobless and struggling to provide for her family, and with violence in the city increasing, in 2012 Baharr took the decision to leave Damascus with her children and seek refuge elsewhere. Her parents agreed to go too. Together they made their way to Domiz refugee camp, in Iraqi Kurdistan. To Bahar, it felt like an uprooting. But she was determined to make the best of it, and soon found a job at MSF’s clinic in the camp, advising other refugee women on caring for their own and their children’s health. But over the next three years, Bahar felt increasingly insecure, and became convinced that there was no future for her or her children in Domiz. With the support of her parents, Bahar decided to head for Europe alone, leaving her family to join her later. She crossed the border into Turkey on foot, and two days later reached Istanbul, where she arranged with a smuggler to take her to Europe. The car journey was worse than anything Bahar could have imagined. “I was alone with the smuggler – I didn’t even know him. He hid me in a sort of wooden box – it looked like a coffin." "I was more or less lying inside. I couldn’t see anything – not the road nor the villages we passed through. I was like a prisoner. We drove for four days. We only stopped at night to go to the bathroom or get a breath of fresh air." "So as not to starve, I ate dates and drank some water – there was nothing else. After being driven across most of Europe, Bahar climbed out of the wooden box to find herself at the border between Germany and Denmark. 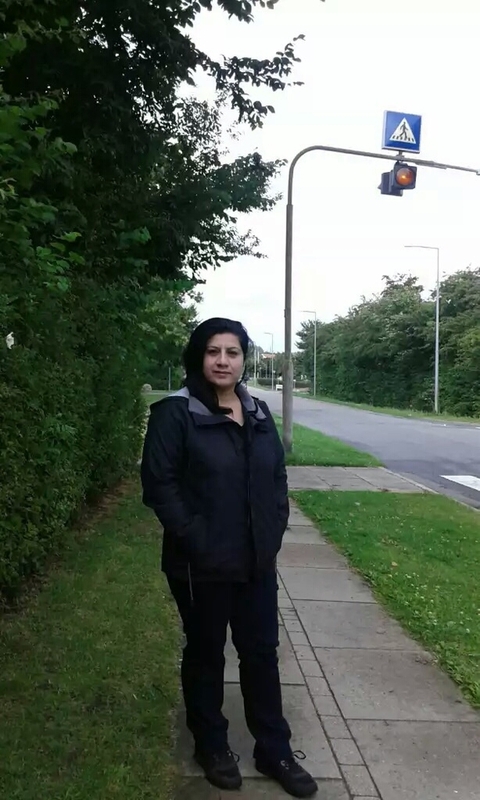 With a group of Syrians and Iraqis, she boarded a bus to the closest Danish city where they handed themselves in to the local authorities. After seven months in a refugee centre in Denmark, Bahar has finally been granted asylum. But with the long-awaited residence permit came the devastating news that she will have to wait three years for her children to join her in Denmark. Baharr has survived this far, but it seems that her five-year journey to find safety for her family is not over yet.